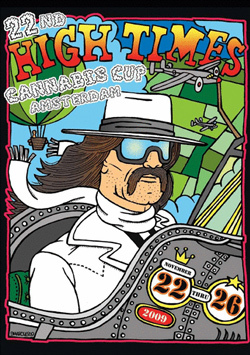 Cannabis Cup is an annual event held each November in Holland since 1987. Cannabis Cup is an annual event held each November in Holland since 1987. This event allows judges from all over the world sample various strains of cannabis and vote for the best ones. Anyone of legal age can participate as a judge for a fee and the rest of the visitors can also enjoy various recreational activities, that go together with the festival and include live music, comedy and an expo of marijuana-related products. Each year the festival attracts thousands of visitors and is probably the main event for cannabis enthusiasts worldwide. Starting from 2010 a similar High Times Medical Cannabis Cup has been staged in San Francisco, California. As of 2012 the main categories are – Cannabis Cup (the best strain), Indica Cup (for Indica strains), Sativa Cup (for Sativa strains), Hybrid (for hybrids between strains) and number of others including Neder Hash, Seed Company Hash, Import Hash, Product Cup, Best Booth, Glass Cup, CBD Award. Also each year the cup honors a Freedom Fighter of the Year and a Dutch Master or Masters.